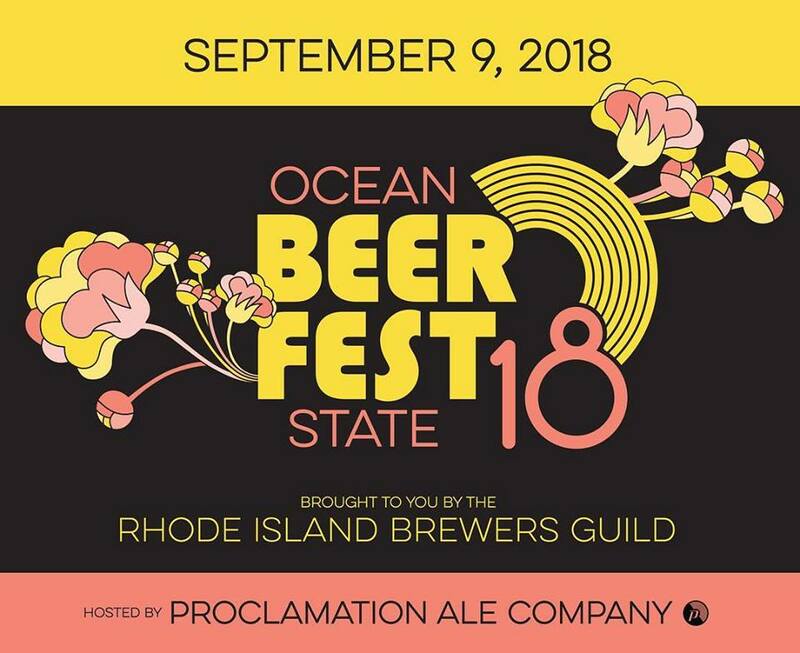 The 4th Annual Ocean State Beer Fest, presented by the Rhode Island Brewers Guild, will be held on Sunday, September 9 from 1-4 pm @ Proclamation Ale Company [298 Kilvert St, Warwick]. The fest will take place in the parking lot [the brewery will be open from 12-6 for regular business during the fest]. The bash features more than 20 RI breweries and brewpubs [including the debut of Apponaug Brewing Co., plus Buttonwoods, Coddington, Crooked Current, Foolproof, Grey Sail, Long Live, Newport Craft Brewing & Distilling, Proclamation, Ragged Island, Ravenous, Revival, Shaidzon, Sons of Liberty Beer & Spirits, Tilted Barn, Trinity, Union Station, Whalers, and more], three food trucks, and other local vendors. General admission ticket [$35 + $4.01 fee, $15 + $2.89 for designated driver; limit 4 tickets per transaction] includes unlimited beer samples, a souvenir taster glass, and a bottle of water. An exclusive 2018 OSBF T-shirt will be available through pre-order as an add-on to your fest tickets; the shirts will not be available for purchase at the fest.